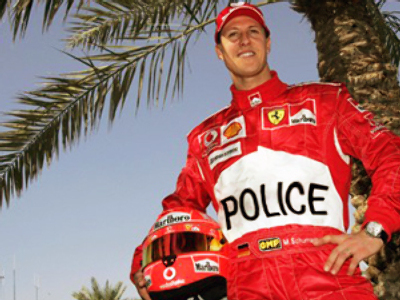 Michael Schumacher has been awarded a first grade honorary golden crest from the Russian body for traffic regulation, the State Motor Inspection. This is to mark his contribution to making the world’s roads safer. The famous F1 pilot is member of the Commission for Global Road Safety, an international body founded by the FIA Foundation to promote efforts and policies which make roads safer throughout the world. The announcement comes on Wednesday ahead of the world ministerial conference for road safety, which opens in Moscow this week. Schumacher was not able to take the award personally, unlike another celebrity, Hong Kong actress and dancer Michelle Yeoh, who was also honored by the Russian police officials. Yeoh is an ambassador for global road safety. The annual number of casualties in road accidents is now counted in millions, the commission warns. The number may be underestimated, since in some countries accident victims who die in hospitals rather than on spot are not included in the statistics. Super Bowl party too expensive for crisis-hit America?